Enhance your alfresco area using our stainless steel cafe barriers. Cafe Barriers that are made to last more than a season. Finishes of our cafe planters can be matched to your specification. The Cafe Barriers and Cafe Planters from Brandline Products are renown for their quality and durability. Used by many blue chip companies, the marine grade stainless steel ensures that the cafe barriers will last. With the largest range of cafe posts and cafe banners available, it is no surprise that our systems lead the way. Choose a category from the menu above to view our products. Built to last. The use of high grade stainless steel and quality turned sub-component guarantee weather resistance and trouble free operation. Built to be noticed. Bold and exciting fabric colours combined with vivid print possibilities allow eye-catching branding and advertising opportunities. Built in the UK. Manufactured to order at our Daventry factory using UK sourced high quality materials by our team of experienced and dedicated individuals. Like all Brandline cafe barriers, we stand by the quality of our products and have taken every precaution and design modification to ensure that the hardware will out last our competition. 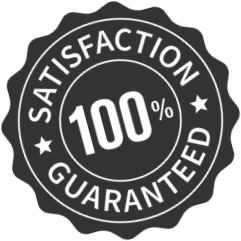 All products are covered with a warranty. The Brandline Cafe Barriers systems and Planters have been designed for use in both interior and exterior environments. Tested to international standards the cafe barriers will last for years to come without any corrosion. Looking to find out where to apply for planning permission or what your local authority requires? We've put together an easy to use guide.